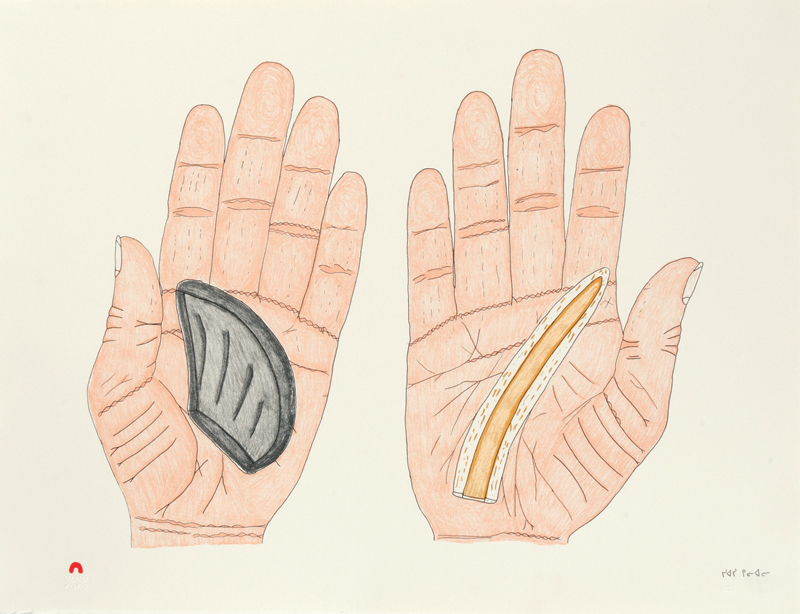 The 2013 Cape Dorset Annual Print Collection consists of 32 images by 11 artists in stone cut /stencil, lithography and etching/aquatint. The prints span the gamut of past, present and future and include subjects as diverse as plants and animals, brazen spirits and items from a haberdashery. 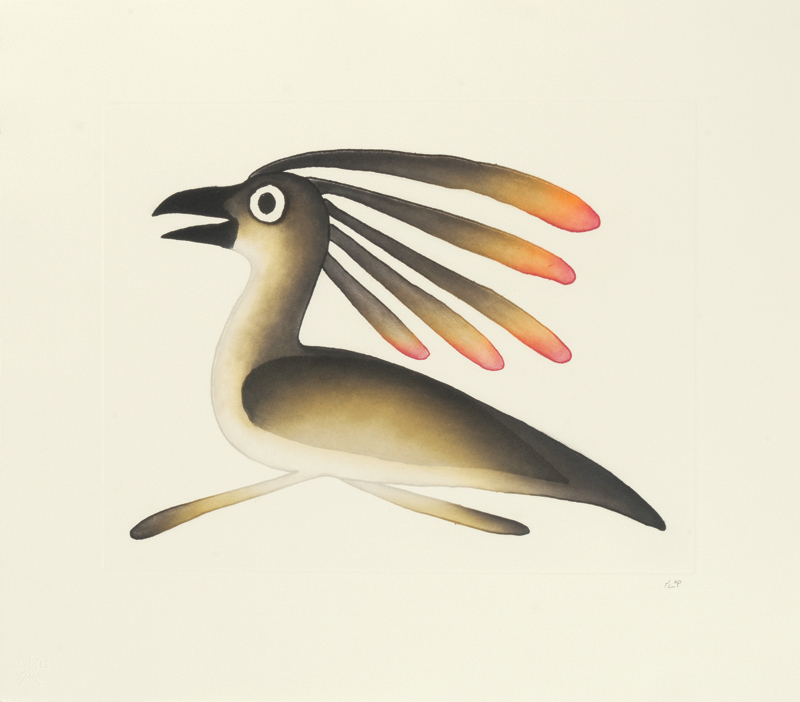 Sadly, this year marked the death of Kenojuak Ashevak, an icon of inuit art and a mainstay of the annual collection forover 50 years. Kenojuak is dearly missed by all of us who have been associated with the Co-op as well as everyone within thecommunity of Cape Dorset and among the many friends and admirers she had all over the world. She was not only a brilliant artist but an inspiring and positive person with a warm and generous heart. There are 7 prints by this remarkable woman in this year’s collection. 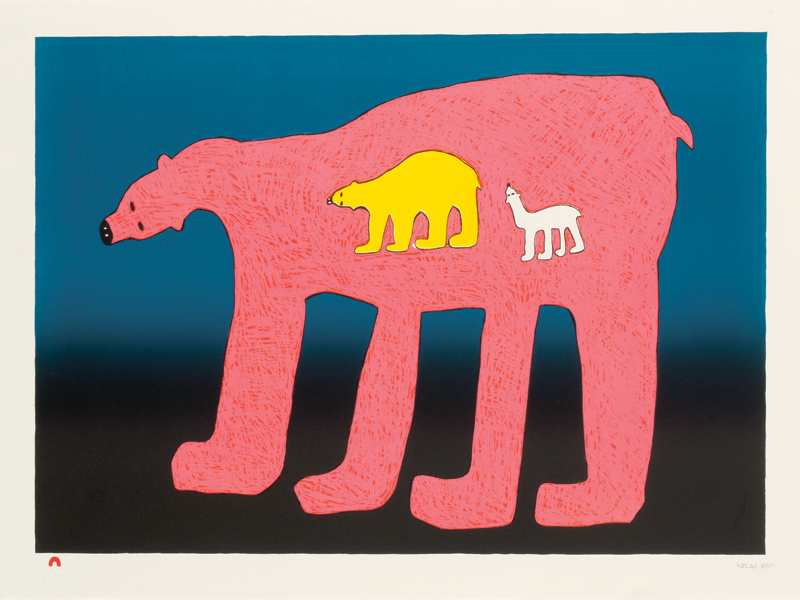 Kenojuak signed 2 of them, “Serpentine Wolf” and “Aboveand Below”. The remaining 5 were signed posthumously by her daughter Silaqqi Ashevak. at their craft. This year they deserve particular recognition for bringing back some vintage printing methods from the 60’s and for introducing some very complex and daring new innovations. Working together, artist and printmaker have succeeded in bringing together a collection that honours the past through new beginnings.